CLEVELAND, O.H. 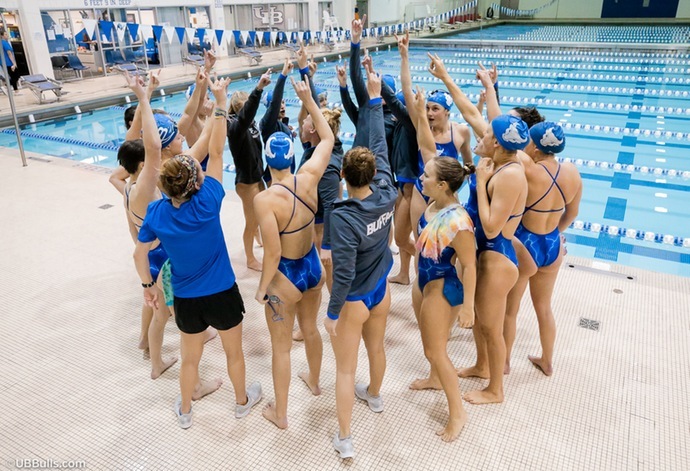 -- The University at Buffalo women's swimming & diving team had a strong weekend in Cleveland as they were able to claim second place with a team score of 984.5, finishing just behind MAC foe Akron. 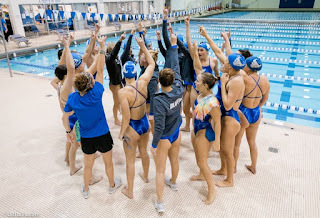 Buffalo was able to claim a top three finish in the leaderboards, as the Bulls finished second overall, topping third place Xavier University by 178.5 points. "Very happy about the meet", said Bulls head coach Andy Bashor. "We have been consistent with our training and it showed this weekend. I am excited to see what we can do in another two weeks at the Zippy Invite." On Saturday, Buffalo sophomore Olivia Sapio set a pool, meet, and program record as she swam to victory in the 400 yard IM event in a time of 4:16.54 in the preliminaries, beating the next finisher by over seven seconds. Later in the afternoon, Sapio would claim victory in the finals in the event, finishing with a time of 4:17.37. Sophomore Brittney Beetcher placed second in the race, clocking in a time of 4:20.71. Junior Katelyn Burns continued her dominance in freestyle events as she swam to victory in the 200 yard freestyle with a time of 1:49.11. The time was a career-best for Burns. Burns was also the first place finisher in the 100 yard freestyle event, swimming to victory for Buffalo in a time of 49.88, another career-best for the junior. Sophomore Jillian Lawton added a victory to the Bulls collection as she claimed a victory in the 50 yard butterfly time, winning with a time of 25.37, ousting the second placed swimmer from Akron by .10 seconds. Senior Sharne Tiller collected a victory in her heat in the 100 yard breaststroke, collecting the win in a time of 1:04.97 as teammate Jenna Krull placed third in the event with a time of 1:05.79. Buffalo claimed dominance the diving well Saturday afternoon, as a freshman stepped up for the Bulls. Jae Sarkis broke a pool record in the 3-meter dive event, showcasing her skills to a score of 316.70, over 38 points ahead of the next scored diver in her heat. The Bulls will return to the pool on Friday, November 30 as they head to Akron once again to compete in the Zippy invite.